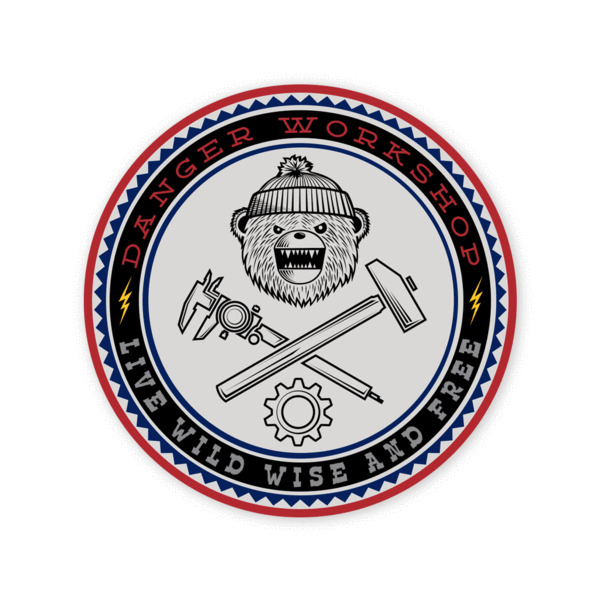 When not in his wilderness domain, Danger Ranger Bear loves to tinker in his workshop. Welcome to the Danger Workshop. Here you'll find perhaps more than a dozen projects going on at once in various states of completion. On the workbench you might find a hickory haft being fitted into an axe head, a kuksa drying in a paper bag almost ready for its final sanding, and an old Warn 8274 in need of a new contractor replacement. Each step in his projects are taken with care. DRB knows how to properly use and maintain each of his tools, as should you so you don't lose a finger when using them. Take pride in being able to DIY and as a maker.